Andrea Centazzo is an amazing percussionist and composer and been featured on more then 150 LP’s and is a author of 350 compositions. We talked about some of the early years, when he had a project called Elektriktus. We also spoke about his collaborations with other artist. Find out more in our interview. I’m really glad we can talk about your music, Andrea. You recorded over 150 LP’s and you authored 350 compositions. I would like to talk more about the early 70’s period. I can date the beginning of my pro career in 1972 just upon my return from the Swiss jazz school in Bern Switzerland. I can’t really say that I had at that time “motivating factors’, but just the need to express myself in a different revolutionary way! This was also reflected in the life style of those years in Italy where the young generation was trying to break the rules and cut the chains with the past. Before 72 I was an amateur musician… first I studied guitar, then clarinet and finally somebody proposed me to play drum in the school band and I accepted… We were used to play for the school parties, for friends and rock venues… very local and very amateurish. Actually I was the only taking it seriously doing the booking, talking care of the equipment, searching for songs, etc… For me music was already a mission instead for my buddies was just a way to show off and possibly grab girls… of course I was into grabbing chicks too, but still I would have sacrificed an afternoon to study a song and a night to listen to Max Roach. Professionally I was born as percussionist (actually drummer…) but I always considered myself a composer playing percussion more than a drummer/percussionist. 35 years later I still love to perform but mostly my composition/improvisations : except for collective improvisation I’m not interested to play somebody else music. Besides thinking that everything in my life was depending from Karma, I have to say that I didn’t plan anything, but just I followed the flow of the life events. Let’s start with some of the early music involvements. Where did you first got involved with music? I was born in a little town in the north-east of Italy. It’s where I literally suffered for 20 years before to find the way to escape. Almost a village with no music scene, no music schools and especially very little and low quality traditional jazz. No Rock music, no avant-garde, no experimental… nothing of nothing!!! I come from a family of attorney at law and I’m an attorney myself having earned a doctorate at the University of Trieste before moving to Bologna for studying Musicology at the Bologna University. I had a permanent fight with my father who was used to say that the world is divided in two: the working people and the musicians. So you can imagine my battle to became a musician!!!! I consider my home town Bologna, the city where I moved in 1973 to attending to the Musicology faculty at the Bologna University…I started to listen jazz casually when I was 13 years old thanks to some older friend who got a Dixieland LP!!! I fell in love with that crazy polyphonic playing so far from the boring Italian pop songs and the classic music that I was used to listen to. In the meantime I found in a magazine that my mom was used to read an ad about some mysterious recording labeled as “new and traditional Jazz” (!!!).. so I decided to buy randomly some titles: Bird, Gillespie, Jelly Roll and Lester Young… Small detail: I had no money nor the age to do mail orders.. so I did under my mom name.. When the package arrived and she has to pay for me was much better escape from home for a couple of days…the entire family was totally mad at me…!!! The recording coming from that mail order company where the beginning; some friends with small collection were also another source. I remember when casually I found 2 LP that made really a difference in my listening: Birth of the Cool from Miles and Live at Village Vanguard from Coltrane… man, I was blown away. We are talking here of a kid 15 years old living in a crappy, ignorant, conservative little town!! Could you imagine putting on the turntable “Softly like a morning sunrise” by Coltrane and get crazy when he starts the solo???? I couldn’t believe my ears… But I never confined myself to jazz… actually, as my music now shows after 490 years of experiments, jazz was just a small part of my research. But definitively in 1970 the Wengen Jazz Clinic was the experience that changed my life. Not that I learned much in 10 days, but I got Pierre Favre, Peter Giger and Stu Martin (and especially Pierre that I still adore for his immense talent and originality) “discovering” me and pushing me to turn professional. There I had the chance to listen live to some of the most prominent Jazz players of that time, even jamming with Johnny Griffin (I was just shaking…!!!) and make friends that later I found in my touring around the world. In Wengen I understood that I was born not to be an attorney (as all in my family) but a musician! So when I went back I had a deal with my father, asking permission and some support to go to study in Bern in exchange of the promise to finish my Law University and get my PHD. 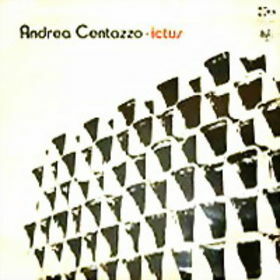 Ictus is your first solo album from 1974. The album is partly somehow a mixture of avant jazz with some psych touches. I would like if you could tell me the story behind it? 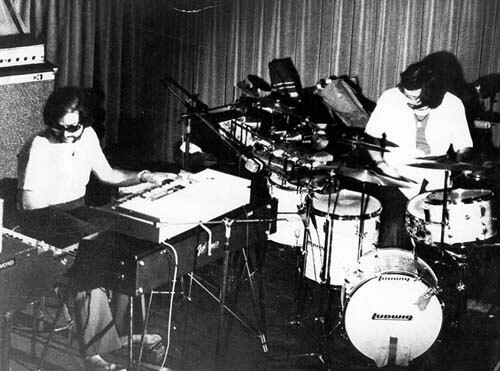 Those were the years of British avant-garde and we were all influenced by Soft Machines and those UK groups…The fact that I was a percussionist probably gave to that LP a different approach and established its’ own unique sound.The music was almost all improvised on the beginning. Then we sorted out the best part and we developers composition around it… If I think that it was all done in realtime with no overdubbing… we recorded on a stereo 2 track Revox the only decent affordable recorded available to poor musicians like we were…. Later you released Fragmentos and you started your next project called Elektriktus. Why Elektriktus? Driven ever onward by the manic necessity of experimenting variations of interprertive and compositional language, I concurrently increased my solo activity and created around myself a network of new and stimulating situations to play with musicians “on the same wavelength as myself”. The album Fragmentos evolved from these experiences, inspired by the poetry of Pablo Neruda; the album includes with solo selections, a trio with Centazzo, bassist-Bruno Tommaso, and saxophonist-Maurizio Giammarco, a formation that also performed in concerts. 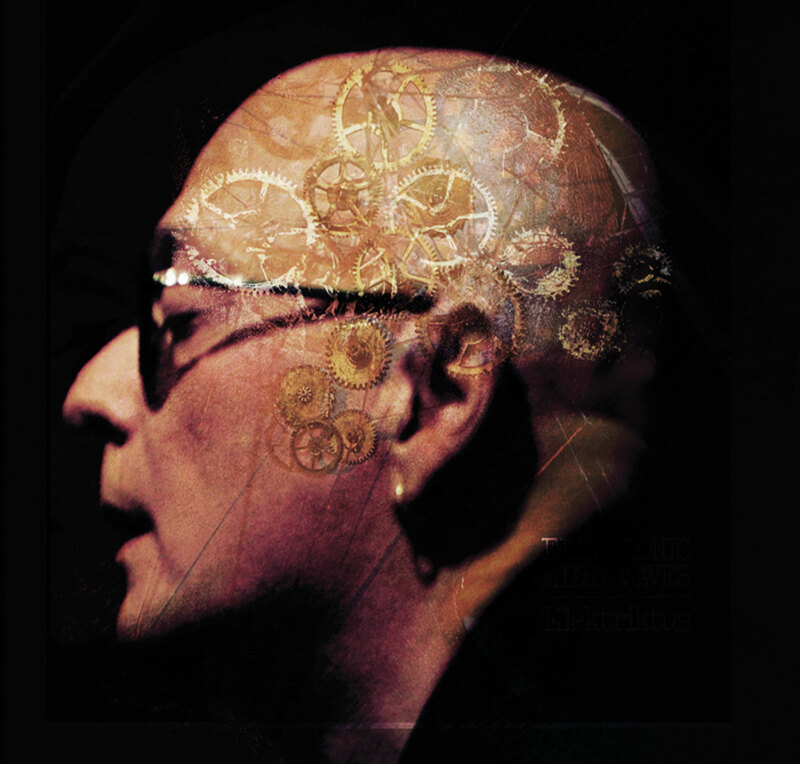 Later I went on to record with Giammarco Davanti e oltre la soglia (Before and beyond the threshold) where together they explored all the technical and expressive possibilities of the instruments used, charging across the “threshold” of their cultural conditioning. But of course the real “out of track” LP was Elektriktus. While I was committed to my jazz percussionist career, in the same time I was attracted by the new electronic music scene raising from Germany and England. With the early earning of my percussionist gigs I had the opportunity to buy one of the first 4 tracks recorders and a couple of primitive keyboards. And in the silence of my recording studio in the country, I started composing, playing and overdubbing. That’s how Elektriktus was born. At that time we didn’t have (and we couldn’t even imagine!) computers with recording and editing programs or automatic loops, effects and samples. So when free from gigging around, I spent months working in my studio. The producer of my first jazz LP, titled ICTUS, didn’t want 2 albums so different in style under the same artist name; so we opted for Elektriktus (blend of Electronic and Ictus) in the hope that it could follow the path of the much more famous German Cosmic Couriers. But unfortunately due to a lack of promotion and a bad distribution, the LP remained almost unknown and forgotten. As naive as today it can sound, it was the first experiment in connecting acoustic instruments to the electronic ones in my sonic space; a technique that is now highlighted in my last multimedia concerts where I play percussion and a Kat Mallet blending samples from my Mac and the acoustic sounds (for the full story: www.andreacentazzo.com, www.myspace.com/andreacentazzo, www.myspace.com/andreacentazzotranscendentalgongs). I was astonished last year to discover that Elektriktus is now present on the web on 18.000 plus pages. A sign that those were seeds well planted. So I decided to release again Elektriktus on CD and also on LP limited edition trying remastering it more close to the original LP as possible. 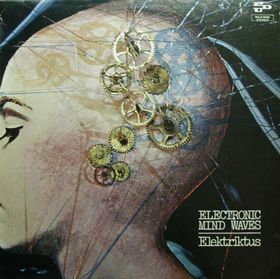 Electronic Mind Waves is your only album released as Elektriktus in 1976. What are some of the strongest memories from producing and releasing this LP? The main thing that I remember is that all that was just casual!!! I did just by chance since that producer Roy Tarrant, was not only my producer my also the curator of the Cosmic Rock series!!! A fortunate coincidence. What can you say about the cover artwork and how many copies were made on PDU label? I cannot say about the quantity. But presumably being those years good years for the industry I would say no less than 2000… but obviously nobody ever sent me a statement nor I got any money except the initial x track payment. In those years the record companies were even more “sharks” than today!!! Who knows??? probably I found random;y an image and thinking of “mind waves” he just used. Later you played with so many legendary musicians. Would you like to name a few you have the most fun playing with? The fact is that many legendary musicians played with me…. as matter of fact in my career I was alway the leader of the groups and many times I had mostly duos with great improvisers. But I never played any composed music except my own and Steve Lacy’s I have here to pay tribute to the one that really helped me to understand the concept of creativity. Steve Lacy. In 1975 I had a serious problem with my right shoulder. Years before I had an accident playing volleyball and it got worst and worst with playing professionally. So I went to Paris for a month treatment with a famous shoulder specialist. At that point I knew and I admired Lacy since years so I decided to call him. He was very kind and we had a nice conversation and I gave him my LP’s. In the meantime I learned from an Italia newspaper that Gaslini had decided to hire another drummer… it was a shock.. like having your father stabbing you in the back. But then during my career I found so many of those situations that I got accustomed. So when I went back with no jobs and also big problems since my house had been destroyed by the 1976 earthquake, I decided to write to Lacy asking if he was interested to do a duo tour. I got a immediate answer: YES! So we did this tour and the year later another wit the addition of Kent Carter bass. I remember vividly the first time I met him in Milan for an afternoon rehearsal. Working with Gaslini, I was used to follow rigidly the rules of the sideman and read a score. So before to start since we had no scores, nor I knew what we were going to play, I timidly asked “Steve, what you want me to do?? ?” and he looked at me and placidly said : “PLAY WHAT YOU FEEL!! !” I never forgot in all my career that moment. And there it was when the improvising percussionist was born. From that experience I have left 3 great ICTUS albums (121,123,131), now re-mastered. Still fresh and interesting, since Lacy music is always exciting. In 1976 me and my wife Carla Lugli we started the label to free my music from the major that at that time were the only making records. We didn’t plan to become one of the most respected seminal Improvised music label! As matter of fact it was a crazy but exciting experience: we were together with INCUS in GB, FMP in Germany and ICP in Holland one of the first avant-garde labels owned and operated by musicians only. There I had the chance to record with the best musicians of that genre and experiment myself with all kind of crazy combinations for solo to orchestra. Due to financial reasons and also to the divorce from Carla, ICTUS collapsed in 1984. Just in 2006 I had the chance to set it back here in LA, thanks to Cezary Lerski of Polishjazz.com that was for a while partner in the operation. The new catalogue is quite impressive since I incorporated all my recording in the hope to have an logical archive of all my work. ICTUS was also the occasion to meet and play with the best musicians of that scene. 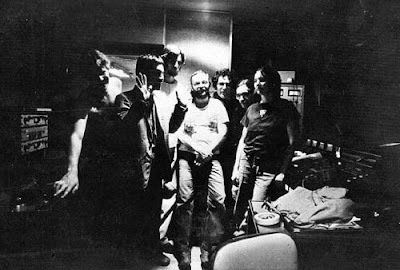 In any case the Zorn/Corra/Chadbourne /Kondo/Bradfield/Centazzo sextet (and all kind of combination we had) was for me a very important experience since it was the funding of the NY Downtown Music Scene at the end of the 70s’. Unfortunately I decided to go back at that time while instead I should have stayed in New York. But you can’t preview your life and I’m not a planner as I said…… so I went back to USA probably too late for my career in 1991, but now it’s already 20 years that I live in Los Angeles and 8 that I’m American citizen. Weird enough when I went back to US to settle down I decided to just compose music and not perform anymore. I was kind of disappointed with the jazz scene in Italy and I had the opportunity to be signed with an exclusivity agreement as composer by Warner Chappell. I was obviously interested to compose my own music (see ICTUS NEW MUSIC SERIES) but basically they sent me to LA for a film composer career. Unfortunately even if I was in a “new age” period writing mostly melodic and straight rhythmic music, I still was too avant-garde for an industry where all is just a formula. So I had more fight with producer and directors that with anybody else and I decided to write my own stuff. So between 1990 and 2000 I composed 3 operas, one Symphonic Requiem and countless large ensemble compositions. As I said, I went back to the jazz scene just in 2006 when Cezary Lerski, producer for polishjazz.com asked me to start a joint venture in releasing an ICTUS BOX SET. I’m just back from NYC where I had a 12 days/24 concerts festivals dedicated to the 35th anniversary of ICTUS. It was a real blast with more than 40 musicians and sold out in most of the concerts. “Created in 1976, ICTUS Records has been one of the first and most celebrated labels completely dedicated to Improvised Music, New Jazz and Contemporary Classic Music. Thank you very much for your time! Would you like to send a message to It’s Psychedelic Baby readers?